Tell me why does everyone of them make violent moves? http://anna-t.com https://itunes.apple.com/jp/artist/tu-wuanna/id78950035 土屋アンナの12/16日に行われた品川教会でのクリスマスライブ「THINK! FEEL! and LIVE! DDD cualquier cosa me diceeen n___n. 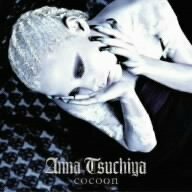 Anna Tsuchiya - Voice of butterfly Album: Rule So WONDERFUL song! ALL RIGHTS ARE NOT MINE.The rights of the song belong to AVEX GROUP HOLDINGS.INC.